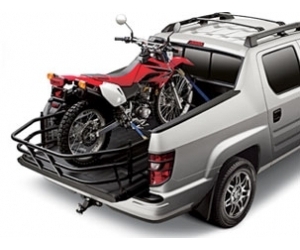 ncrease the capacity and convenience of the Honda Ridgeline Cargo Bed by adding this Motorcycle Bed Extender. The Bed Extender mounts to the end of the pick-up bed or forward, at the back of the cabin. 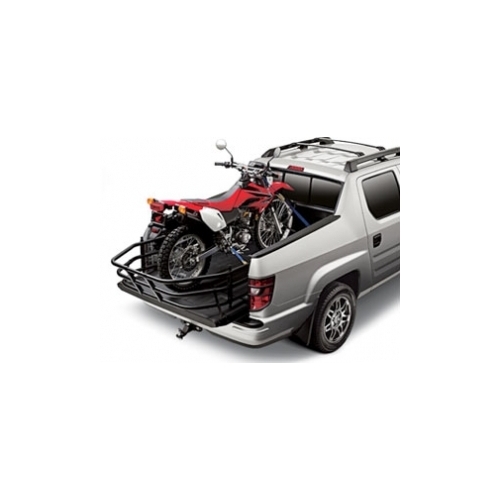 Tailgate down offers an extra 16" of storage. Maximum cargo length with Bed Extender in place is 76"